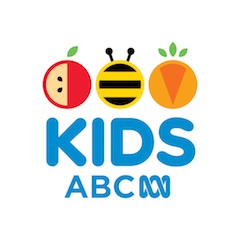 Children learn many things through watching TV and there is some great programs out there that are pretty educational for our darlings. Many shows are teaching your children songs, actions, words and much more. I won't lie, the TV is always on in our household. Not because I stick Niah in-front of the TV constantly but because it's background noise we have accustomed too. We always are playing the kids channel and Niah will be busy playing along with her toys and such but will then stop for breaks to be front row view of the TV when a favourite show of hers comes on like some of the below titles. Children get attached to characters they see in shows and sometimes that's the only show they want to watch so when DVD titles are released with Niah's favourite we do like to make sure we get our hands on a copy of the release, which also makes for a great thing to have in the car should you have portable DVD players. Enjoy over 40 songs and segments with The Wiggles as they put up a 140 min DVD for your children to sing and dance along too. The high energy of The Wiggles always brings excitement to little Niah. There was only a few songs that actually were along the fruit side unfortunately. 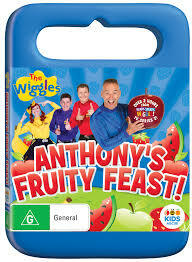 I would have thought that this release would have been all things fruity but none the less The Wiggles still provide you with much entertainment.Special features include some wiggly bloopers and a photo gallery. The most interesting characters that have names that will make you go 'what?, who?' when you first hear about In The Night Garden but super cute when your child says them. 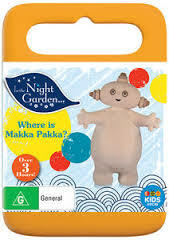 Niah is pretty good with her pronouncing of her favourite Makka Pakka character from the show. If you have never experienced In The Night Garden before this is a show that will have the characters speaking in a language only known to the show with a voice over narrator for translation and story telling. Rhymes and music will be shared. Featuring 7 episodes for your child to enjoy. 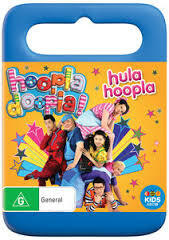 Boy was I glad to receive a new Hoopla Doopla DVD as the first release was on nonstop play. Every second you would hear Niah say 'Hoopla, Hoopla'. Hoopla Doopla I'm sure got majority of their YouTube views from little Niah. If we were in the car, Niah would have the iPad or iPhone streaming Hoopla Doopla and at home we had the DVD or Foxtel shows on record. Hula Hoopla DVD brings brand new episodes in which the main feature is that the town all have hula hoops except for Zap (one of the colourful characters) and he has some trouble with trying to get his hula hoop to 'hula'. One lucky reader will be able to win themselves all 3 of the above titles mentioned in this post for your child thanks to Roadshow Entertainment and NJT Blogger collaborating for this special giveaway. 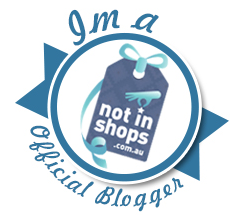 Giveaway ends: Tuesday 14th of July at midnight. Disclosure: This post is brought to you by Roadshow Entertainment. I was gifted the above DVD titles in return for its promotion here. I received no payment for this review and all opinions expressed in this post are entirely my own. Bananas in pyjamas! My daughter loves how rat always gets in trouble hehe! My son is a huge Wiggles fan. Has loved them since he was a baby. but Thomas is the best. 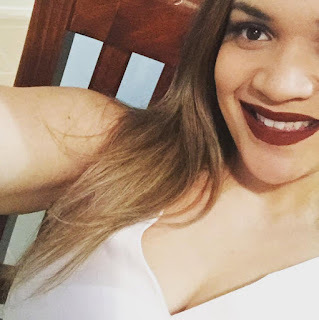 pass my little people test!! And watches Thomas whenever he can! Definitely In The Night Garden! We all love it! My name isn't actually anonymous, It's Ben (Bunna Bee). My kids love The Wiggles, they can't get enough of them! It changes daily. Octonauts and Ben and Holly are always high on the list though! The Furchester Hotel is a favourite of my 19 month old. He dances and sings to it every time he hears it come on. We all love the wiggles thanks . My sanity is thankful for Playschool! Entertaining, not repetitive and fun! Thomas used to toot their horn but now Play School has opened up their world! Is there any other show than "PEPPA PIG" the excitement when Peppa comes onto the Television. We love The Wiggles!! We love their lives shows, they are awesome. Peppa Pig is met with cheers and giggles when it's on! Definitely The Wiggles! My son loves it so much! He loves to sign along with wiggles. 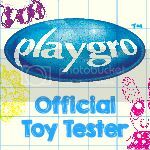 Playschool - it was my favourite and now my little ones adore the variety. Giggle and Hoot - every time Jimmy Giggle or Hoot start talking she drops what shes doing and stares at the tv. It's gorgeous. Charlie & Lola are the favourite! The anticipation is Real! The Wiggles have Miss 2 captivated while this mummy enjoys a cup of tea in peace. BAA none, it’s Shaun the Sheep! He’s EWEnique and keeps us all smiling with his antics on the farm. Wonders will never FLEECE! Peppa Pig,,,it's snorts and giggles here from sunrise to sunset! My boy loves watching Shaun the Sheep, which always makes him giggle. Thomas the Tank Engine- boys are addicted! The adorable show Paw Patrol is definitely a favourite! Big grins are worn as it comes on, with kids racing into the lounge room when they hear the theme song.